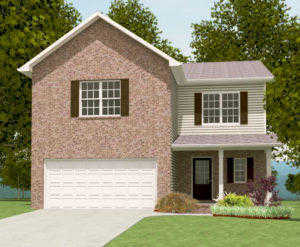 Courtesy of Southland Realtors, Inc.
Smithbilt Homes newest community located in the heart of Halls, Holliday Park. The Halls Community Park is located right behind the subdivision. The Hamilton is a new floor plan that features a great open kitchen to family room. Convenient mud room located off garage. Spacious bonus room. Subdivision amenities include sidewalks and street lights. Open House Sat. & Sun. 2-5. Please, send me more information on this property: MLS# 1051853 – $216,900 – 6901 Holliday Park Lane, Knoxville, TN 37918. I would like to schedule a private showing for this property: MLS# 1051853 – $216,900 – 6901 Holliday Park Lane, Knoxville, TN 37918.